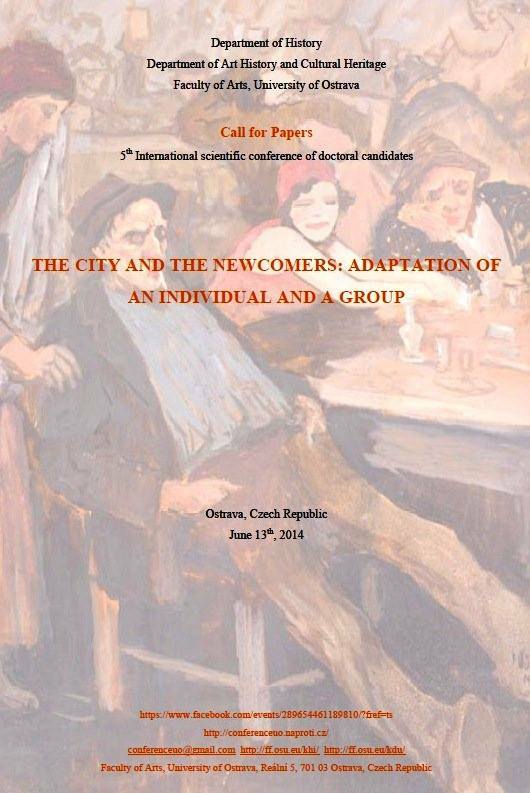 The Department of History and Department of Art History and Cultural Heritage of the Faculty of Arts, University of Ostrava in Ostrava would like to invite you to the 5th year of the international conference of doctoral candidates - "THE CITY AND THE NEWCOMERS: ADAPTATION OF AN INDIVIDUAL AND A GROUP". The conference will take place at the Faculty of Arts in Ostrava on 13th June 2014. The Doctoral Conference offers an opportunity for the doctoral students to present preliminary or final results of their research. The second aim of the Conference is to create a broad platform enabling doctoral students from foreign countries to share their thoughts, visions, to discuss contemporary development in the field of history, cultural history and art history and thus to obtain references for their research and doctoral theses. We look forward to meeting all interested parties.